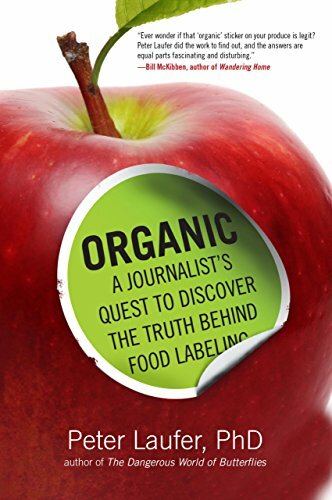 [PDF] Organic: A Journalist's Quest to Discover the Truth behind Food Labeling | Free eBooks Download - EBOOKEE! Description: Part food narrative, part investigation, part adventure story, Organic is an eye-opening and entertaining look into the anything goes world behind the organic label. It is also a wakeup call about the dubious origins of food labeled organic. After eating some suspect organic walnuts that supposedly were produced in Kazakhstan, veteran journalist Peter Laufer chooses a few items from his home pantry and traces their origins back to their source. Along the way he learns how easily we are tricked into taking â€œorganicâ€ claims at face value. With organic foods readily available at supermarket chains, confusion and outright deception about labels have become commonplace. Globalization has allowed food from highly corrupt governments and businesses overseas to pollute the organic market with food that is anything but. The organic environment is like the Wild West: oversight is virtually nonexistent, and deception runs amok. Laufer investigates so-called organic farms in Europe and South America as well as in his own backyard in the Pacific Northwest. The book examines what constitutes organic and by whom the definitions are made. The answers will stun readers, who have been sold a questionable, highly suspect, and even false bill of goods for years. No comments for "[PDF] Organic: A Journalist's Quest to Discover the Truth behind Food Labeling".